Cardiff City goalkeeper Neil Etheridge has signed a new three-year deal with the club – just a day after the Welsh side confirmed the capture of Alex Smithies from Queen’s Park Rangers. The 28-year old joined Cardiff in the summer of 2017 from League One side Walsall, and played a big part in the club’s successful promotion campaign last season, keeping 19 clean sheets and conceding 37 goals. Although he was born in Enfield, North East London, he is qualified to play for the Philippines through his mother, and, after representing England at under-16 level, chose to switch to his adoptive country and has since gone on to earn 59 international caps. 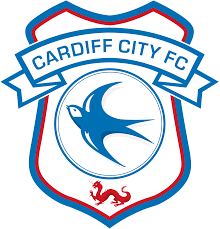 Speaking to the Cardiff City website, Executive Director and CEO Ken Choo said ““We are delighted to see another of our key performers from the 2017/18 campaign commit his future to the Club. Neil enjoyed a fantastic first season here at Cardiff City, and I’m sure the supporters are just as pleased as us to see him sign this new deal. Cardiff City’s opening fixture of the new campaign is away to Bournemouth on the 11th of August and, if Etheridge plays, he will become the first South-East Asian player to appear in the Premier League.